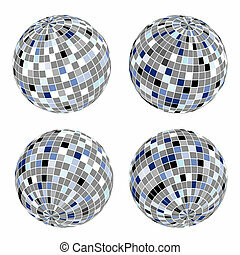 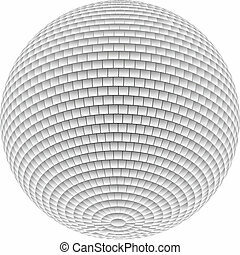 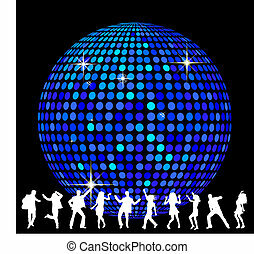 Disco ball and dancing people. 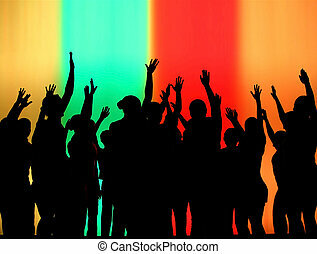 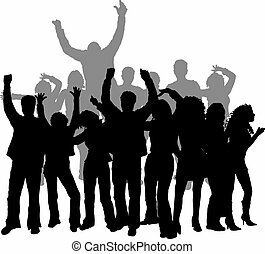 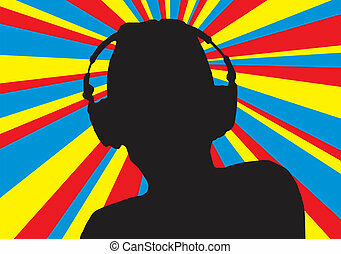 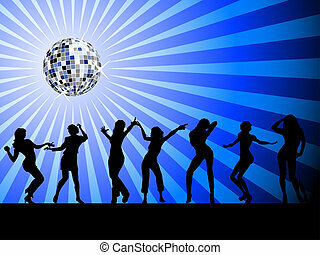 Silhouettes of Dancing People at a club in a backlit scene. 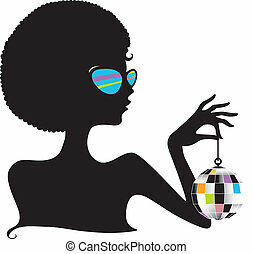 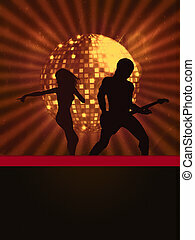 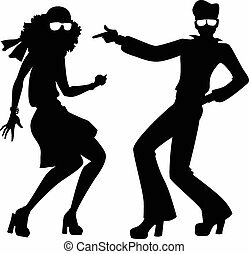 Disco Party invitation template with silhouette of a dancing people. 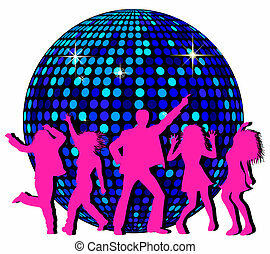 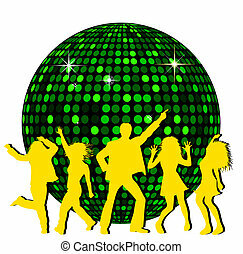 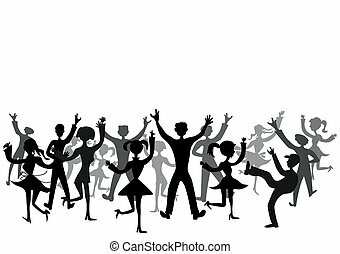 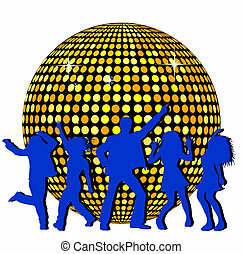 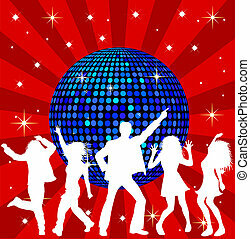 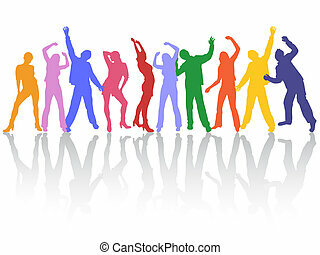 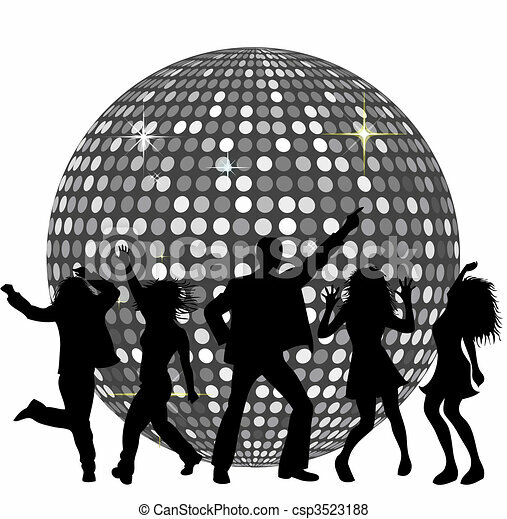 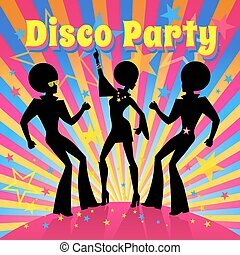 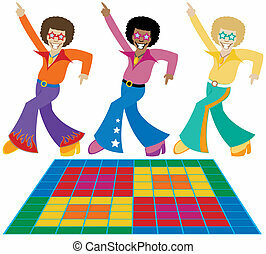 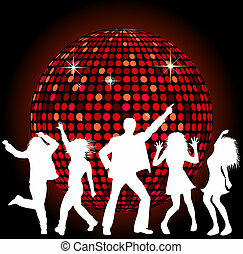 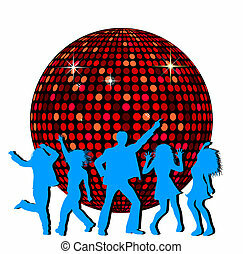 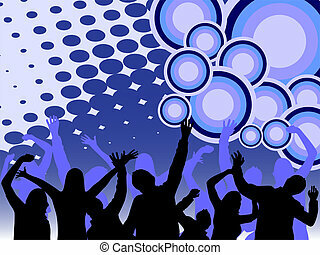 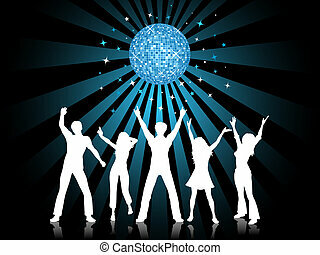 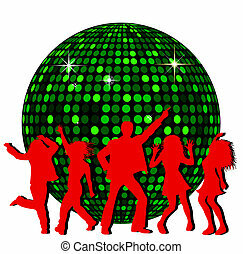 Illustration of party banner with disco ball and dancing people.